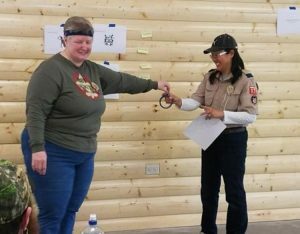 BALOO Training is the best training available for Cub Scout parents! BALOO is the best training available for any adult in Cub Scouts – parents or leaders. It’s really that simple. 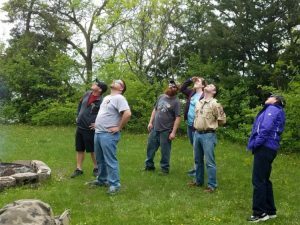 BALOO is the perfect for Webelos Den Leaders, Adults new to Scouting, Adults who want to help but aren’t sure how, or anyone who wants to build their confidence in the outdoors. BALOO will help you gain the skills needed to confidently venture into the great outdoors with your Cub Scout(s). Camping is the “outing” in Scouting so learn the skills needed to hold an awesome campout or outdoor adventure. It will also give you knowledge to help your own family choose camping gear, learn outdoor helpful hints and make family camping a breeze! BALOO is an overnight training scheduled for Saturday, June 1, 2019 at Cedar Point Scout Camp located near Fairmont, MN. Check in begins at 8 a.m. with the course beginning promptly at 9 a.m. Saturday lunch and dinner, breakfast on Sunday and treats will be provided. You will be on your way home by 11 a.m. on Sunday, June 2, 2019. Participants should plan to camp for the weekend. Please provide your own tent, cot, sleeping gear and personal items. If you do not have these items please contact Chris Scherer. Registration is open until May 25, 2019. After this date you may still attend but must register through Chris Scherer.